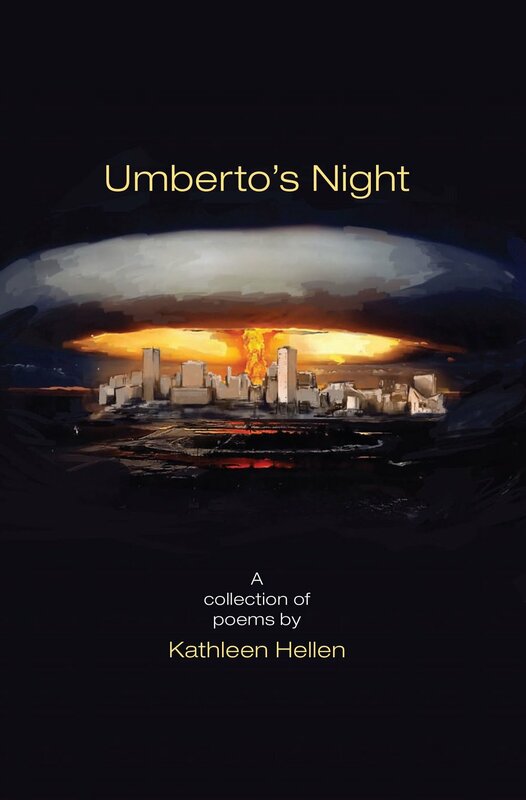 In her aptly titled Pentimento, Kathleen Hellen’s poems most characteristically float between the seen and the unseen. We are “stunned by the familiar,” by “ceaseless scavenging” (“Waiting for Tupac”), and what can also be found “in the disappearing “(“Pentimento”). These are poems of transformation, of reshaping, of the subliminal brought to the fore. The poems are written in lines painted with deft strokes—either purposely jittery with “no’s” and fragments, or written in lines that roll out as “One long country-western song, station to station / until cables disconnect” (“Variations on a Train”). Kathleen Hellen sees what’s barely seen at night in the parking lot of a Home Depot, or on a clothesline, or at a working folks’ beach, or imagined in the Bardo. To read these intensely observed and felt poems is like leaning forward in the backseat of a taxicab, listening while the driver speaks quietly from a life both as expected and unexpected as all of our lives are. In a masterful use of diction and image, blending ancient tradition with modern angst, Shiori’s [Kathleen’s} poems take us to unexpected places. If you are a poetry reader, take pleasure.